Christopher is a fearless and persuasive advocate, combining formidable strategic and tactical thinking with a keen forensic insight. He is a specialist in all areas of international law, with the knowledge and experience to take on complex issues of jurisdiction, finance and movement of children. Having been involved in the leading case on Legal Service Payment Orders, he is much in demand for all types of applications for legal funding orders. 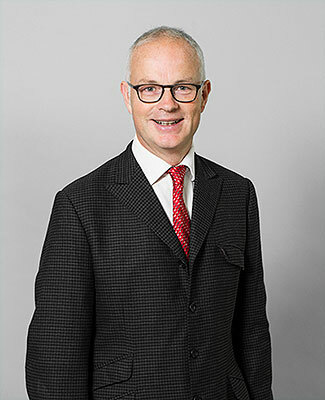 Christopher has extensive experience in matrimonial finance with substantial assets, often with an international element or involving off-shore or domestic trusts or where criminal confiscation and restraint orders have been made. He is a leading light in international child abduction involving the Hague 1980 Convention, Wardship and non-1980 Hague states, 1996 Hague Convention and enforcement of foreign orders. He is much in demand for clients with disputes over the external and internal relocation of children, child arrangements and financial remedies for children. He regularly lectures and presents seminars on a variety of practice areas: 2017 presentations included: jurisdiction domicile and the Maintenance Regulation; LSPOs; the 1996 Hague Convention; and the status quo in child arrangements orders. Has a notable international children practice and deep expertise in matters concerning the application of the Hague Convention. His growing financial practice sees him representing high net worth individuals in divorce proceedings with international issues. He wins plaudits for his willingness to get fully involved with a case. Has a notable international children practice and deep expertise in matters concerning the application of the Hague Convention. His growing financial practice sees him representing high net worth individuals in divorce proceedings. Recent work: Acted in Cambra v Jones, a case concerning the failure to return two children to Spain under the Hague Convention. Has taken silk this year as a result of his work handling international family law on both the financial and private children side. He is a lawyer who displays forcefulness and tenacity. Maintains a strong private law children practice, and works in cases relating to residence, relocation and abduction in both Hague and non-Hague jurisdictions. Recent work: Instructed before the High Court in a case pertaining to the abduction of five children by their father. Maintains a fine track in cases concerning cross-jurisdictional issues, child abduction, adoption, abandoned spouses and lawful relocation. Recent work: Recently handled child abduction proceedings in the High Court involving five children, three of whom were returned to Spain. Christopher Hames focuses his international family law practice on cases concerning child abduction, relocation and cross-jurisdictional disputes. Commentators note that “he cuts straight through to the issues” of the most complex of cases. Christopher Hames comes highly recommended for his expertise in cross-jurisdictional children expertise. Sources say: “He is a very safe pair of hands and is excellent with clients.” Hames is much in demand. Christopher Hames is highly regarded for cross-jurisdictional children work. Christopher Hames, who is praised for his handling of Children Act matters.